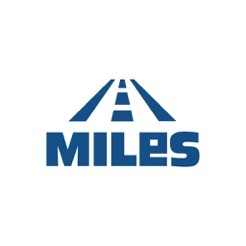 Miles App LLC provides On-Demand Product Delivery Services through the implementation of an easy to use mobile App platform that enables consumers to request a delivery driver in real time to pick up and deliver their merchandise with ease and convenience. Whether you are moving a large piece of newly bought furniture from the shop to your home or some items to a new location, our friendly drivers with their moving trucks are there to help you move all your items safely. There is "Helper with Miles App" feature that allows you to hire a helper to load and unload the items for an additional payment of $40." See what makes the truck rental services of Miles App so popular for a hassle-free renting, pickup, transport, and delivery. 1. With Miles App, local moving trucks are just a tap away. Book and move immediately, or schedule the pickup and delivery with the moving truck rental as per your convenience. 2. Payment method of this truck rental app is quite flexible. Pay via a credit or debit card, or your PayPal account. 3. Our delivery staff courteously assists you to load and unload the items. 4. Vehicles available for rent with this moving truck app are duly tested for performance and safety. The truck rental agency deploys vehicles that are in good conditions and fulfill the industry standards and transport department’s guidelines and parameters so that your goods reach the intended destination safely. To ensure safety and security for our customers and their goods, we make our moving truck drivers pass a thorough background check and drug screenings. In addition, they are subjected to continuous safety enforcement protocols per our Terms & Conditions. Miles App maintains an insurance policy with excess cargo insurance up to $20,000 per occurrence. The policy offers excess liability protection over a Driver's existing insurance while such Driver is transporting the personal items of a User on a trip arranged through the Miles App System. Read more about this on our Terms and Conditions page. Download the app. Enter your source and destination addresses and items you need to move. Upload a picture of the items and receive a free price estimate before you book. Request an SUV, pick-up truck, plus trailer or box truck. Choosing the right vehicle helps you move your items at a reasonable cost. • Sign in and enter the pickup and drop off addresses. • Choose Your Vehicle: SUV, Pick-up Truck, Moving Trailers or Box Truck. • Enter your items and delivery requirements. Get an estimate before you rent a truck. • Track the status of your delivery. Make your payment in the app. • Your items are safe with us. We save pictures of every item we pick and deliver for records. • Your Safety is important to us before, during, and after every trip. With this moving truck company, you no longer have to think “now how do I find a reliable truck rental near me”. Simply choose from SUVs to box trucks, as per your need. You can also schedule the move as per your convenience. © 2017 Miles App, LLC.